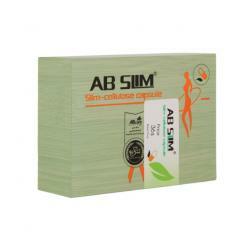 Ab Slim Cellulose reduce food cravings and promote weight reduction. AB Slim Capsules helps you lose weight without undergoing any diet, without any effort, fatigue or hunger. • Has a natural combination and do not contain any chemical or non-natural agents. • There is no dizziness or insomnia or other symptoms. • Burns fat and cellulite, turns stubborn fat into energy and expels sediments out of the body. • Regulates appetite and controls appetite so that your body benefits more from the food taken. • As for those who suffer from the problems of overeating and indigestion, AB SLIM significantly and automatically solves the problems of bloating, gas and upset stomach, and you will feel the difference immediately. Activates the movement of the intestine, which helps to flush waste out of the body. • It prevents the absorption of fat from food and constipation in the stomach that causes diseases and headaches. • Sculpts your body and shows the beauty of muscles giving you a thin mainstay after the removal of fat and limpness. • Removes blackness around the eyes, purifies the facial skin while flushing out the toxins and sediments from the stomach that cause such symptoms. • Practices the body cells to burn fat, which makes your weight stable even after you stop taking the product. • Increase efficiency and sexual ability for men and women. Unlike other products AB SLIM converts stored fat into energy, relying on Ginseng, which is one of the main components of this product. • Reduces the proportion of fat in the blood in 50% – 70% and turn it into energy. • It is a very effective guaranteed product, and gives you the results you have always searched for. before breakfast and before dinner. Our 100% herbal Capsule is composed of natural ingredients with no chemical additions or fillers. All our ingredients have been reviewed and tested. AB Slim Cellulose Capsule should be taken in conjunction with a large cup of water one capsule per day half an hour before lunch. In case patients are willing to drop excessive weight swiftly, it is recommended to take another capsule half an hour before dinner. Results showed that AB Slim Cellulose Capsule was clinically efficient in weight reduction. In addition, no side effects were reported. Banishes sediments out of the body. Activates the movement of the intestine. To guarantee the best results, kindly, fulfill the instructions of use, in addition to observing your weight before and after the use of AB Slim Capsule. Keep in mind AB Slim is a supplement not medicine. 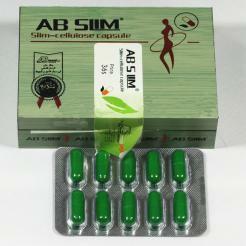 AB Slim Celllulose Capsule is not advisable in case of pregnancy, breastfeeding, heart disease, or high blood pressure. In cases of cardiac ailments and high blood pressure, it is advisable to take AB Slim under medical supervision. I’ve been using this for a little over two weeks and I believe that, along with daily exercise and a healthy diet it has attributed to 5 lbs of weight loss so far. I plan to continue to take this supplement daily.